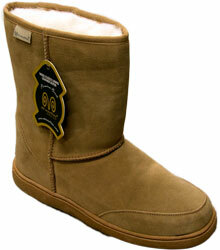 The Cruiser Tall is made with double face sheepskin, meaning a sheepskin lining with a sheepskin outer. A high calf height boot, with a Sheepskin cuff sewn on. Replaceable insoles. A EVA sole is suitable for both indoor and outdoor use. 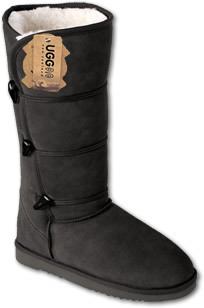 Great boot for all conditions. 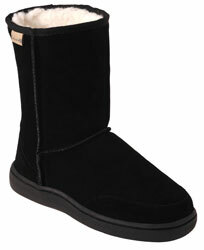 Plush sheepskin lining in a cow suede outer to help keep feet dry and warm. Hardwearing TPR sole and a reinforced toe cap to ensure traction and durability either inside or out. Moulded heel cup, and replaceable sheepskin insoles. Mid calf height. Sturdy stable boots suitable for all conditons ane both men and women. Protects against water stains and acts as a water repellent. Requires two light coats initially, then reapply every 3 months. Treated sheepskin is a lot more water and stain resistant than non treated sheepskin and consequently water and dirt will have less of a chance of sticking. 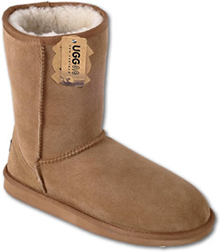 Ugg boots have been a tremendously popular fashion choice since the brand was first introduced in the 1960s. 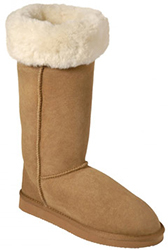 They were still being manufactured as early as the 1930s but were just called sheepskin boots. They are made from sheeps wool on the inside and sheeps skin on the outside. With the help of the stain and water repellent they can be incredibly hard wearing and last for many years. 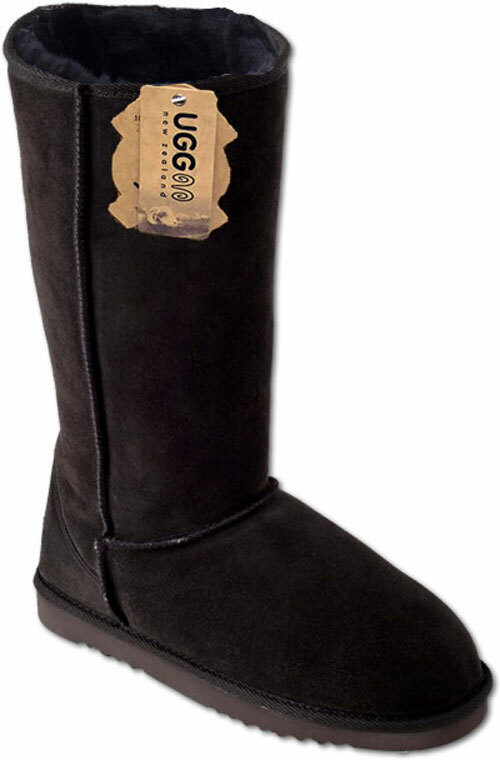 All of our Ugg boots come with a proper strong outdoor sole. We recommend you purchase 1 size larger than your normal shoe size. 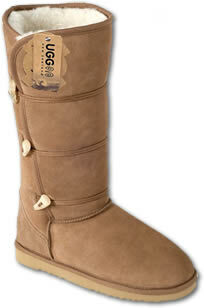 All Ugg Boots are in NZ Ladies Sizes. 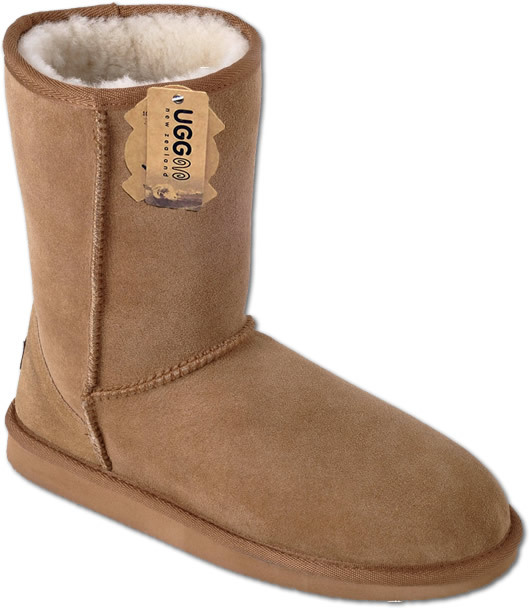 Example: If you are a size 8, we would recommend a size 9 Ugg Boot. Example: If you are a size 8.5, we would recommend a size 10 Ugg Boot. Secondly - The easiest and most accurate way is to accurately measure foot. You want to measure from the back edge of your heel to the tip of your longest toe. Note: Normally sheepskin footwear is a bit tight fitting when new, and they will mold to the shape of your feet and loosen a little after some wear. Can I return or exchange the boots if they are the wrong size? 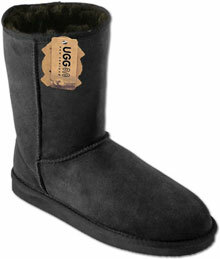 return your boots for a refund of your purchase price less original shipping, or exchange your boots for another size. for the new boots to be sent to you. A purchase freight link will be emailed to you. have the original purchase receipt, and all original labels still attached. 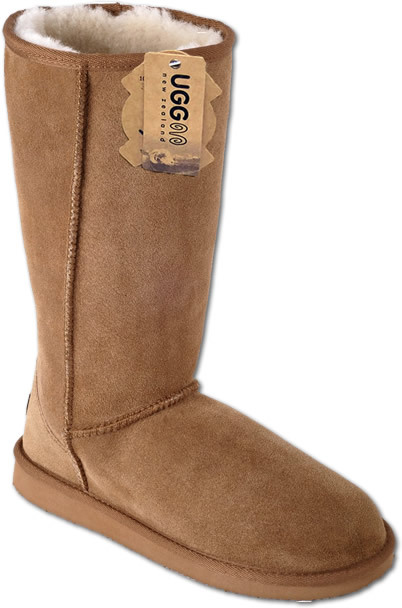 If I live overseas can I purchase NZ Ugg Boots? Due to licencing requirements these boots can only be shipped within New Zealand and Australia. Getting a family member to post them overseas for you is not recommended. If I am visiting NZ and would like to purchase a pair of boots, can I take them with me to another country? Yes if they are delivered to a New Zealand address and you take them with you in your luggage or wear them. You can not post them. Are these genuine Ugg Boots? 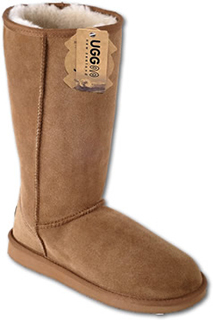 Yes, these Ugg Boots are supplied by a NZ company that is licensed to use the Ugg Boot name and logo for New Zealand. These boots are made from quality NZ and Australasian Sheepskin, but are assembled overseas. This allows an affordable price point for the consumer.